Posted on November 28, 2018 at 1:51 am. When your heat pump does not turn on, the first thing you need to check is your thermostat (this is especially important if you have a zoning control system). If you use a programmable thermostat, check if the program is set right to the heating time. But if there is no problem with the setting, the issue might lie on the incorrect calibration of the device, which can cause inaccurate temperature reading. 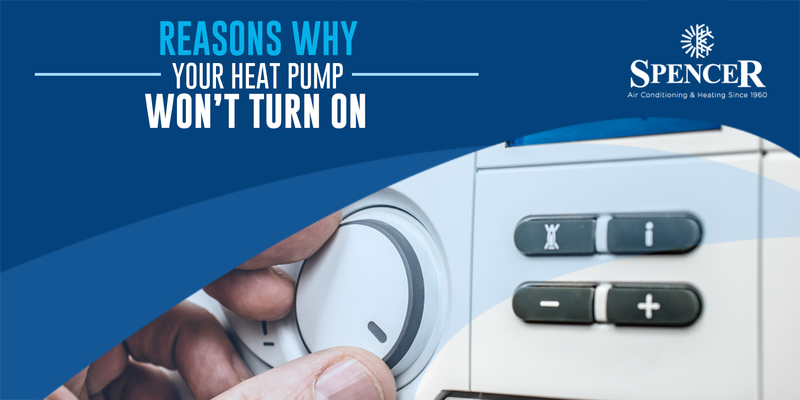 Or possibly, your thermostat has electrical issues that caused failure in your heat pump. Be sure to call your local technician to handle this problem. If your heat pump fails to turn on, listen to its cabinet. Once you hear a clicking sound when it should be turning on, most likely, the problem lies in your start capacitor. Start capacitor is the component of your heat pump that is responsible for transferring electrical charges starting from the motor. A faulty capacitor causes serious effects on your heating unit. Call your technician to fix your failing start capacitor. Sometimes, your heat pump can trip the circuit breakers. Be sure to inspect your fuse box to see if this is why your unit does not turn on. If your heat pump continues to trip your circuit breakers, chances are there could be an electrical issue in your heat pump that needs your attention. Call your local technician to address and fix this issue. Your reversing valve helps change the direction of the refrigerant in your unit so it can work as both a heating and cooling system. If your heat pump blows cold air in heat mode, then probably, the problem is in your reversing valve. Once damaged, be sure to replace it right away so you can enjoy warmer air in the cold nights. Do not let your comfort be compromised this cold season. As early as now, try to monitor your heating system and if you think something wrong is going on, call your local technicians right away. Contact our experts at Spencer Air Conditioning & Heating to get the heat pump repair done.